Kato is my favorite in NEWS! He is so cute. When i first looked at a Johnnys magazine, i thought he was one of the best looking guys (and still is)! He seems really smart and serious, but can be really funny too! he is verrrry good looking! and perfect for the part in engimono. he's also very smart and funny as well! i love this guy! 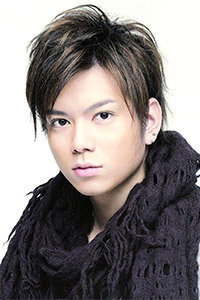 Shige! He is such a good actor, and such a hot singer... Gambatte! kawaii shige-chan! Ganbatte! This guy is soo adorable! such a tensai becoming more handsome!